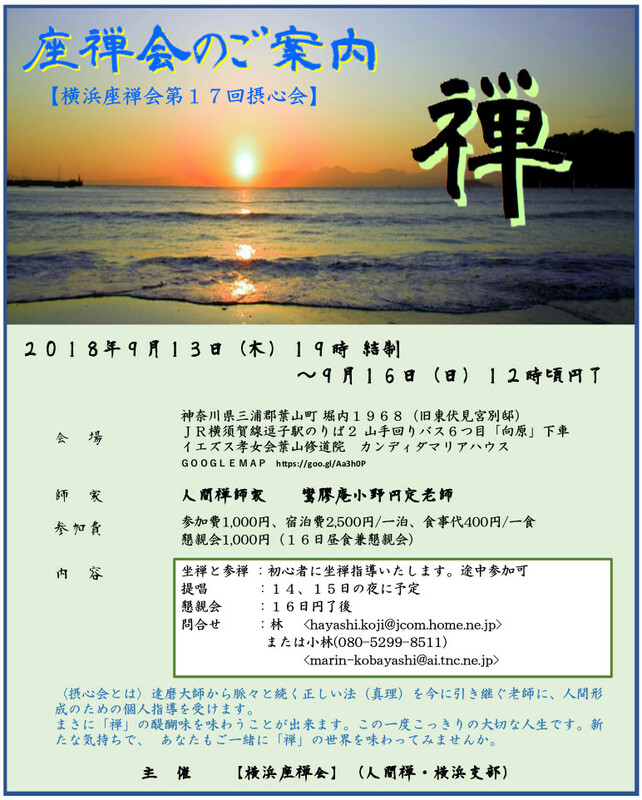 We "Yokohama-zazen-kai", will make the 17th Zen-meditation session. This is the formal session by way of Zen. We do meditation practice, and we also do the one-to-one "Sanzen-training" with Zen master. Anyone can participate in this session, and beginners can receive more detailed guidance. For more information, please contact by email. Lodging charges JPY2,500 per night. After-party charges JPY1,000, Participation is optional. Copyright © 2007-2015 | Design by PAGE DESIGN lab.